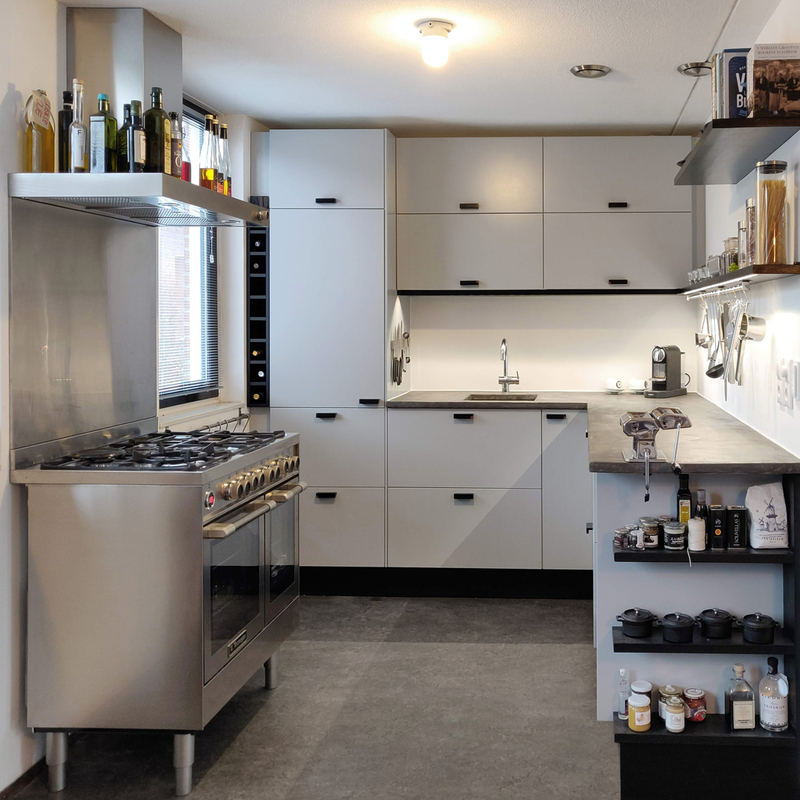 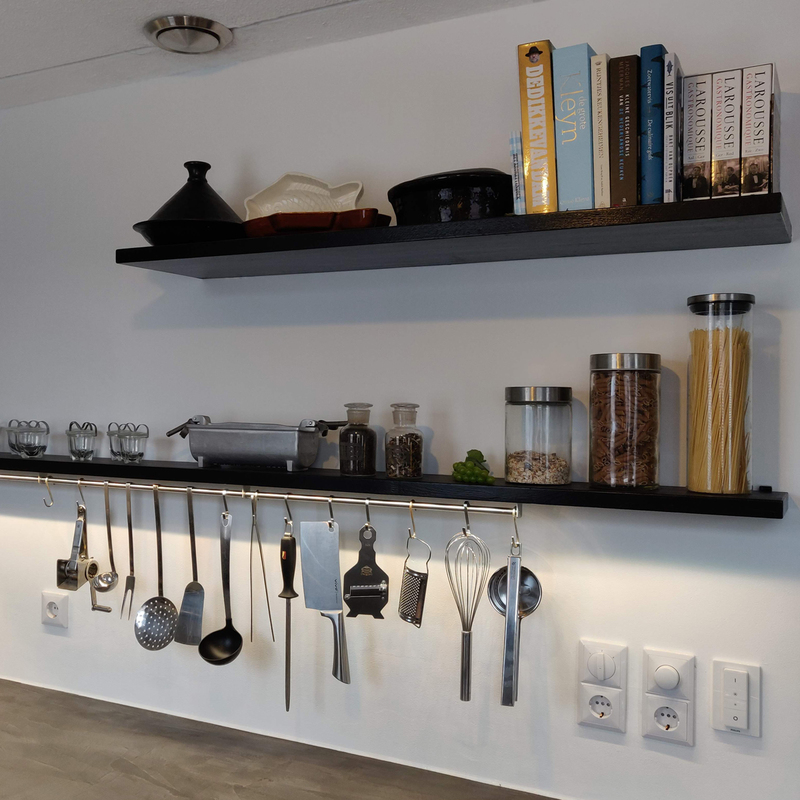 We designed a kitchen for a couple who love to cook… and enjoy eating! 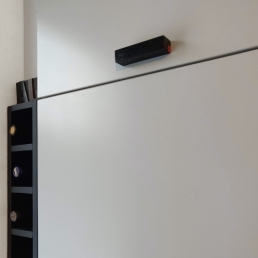 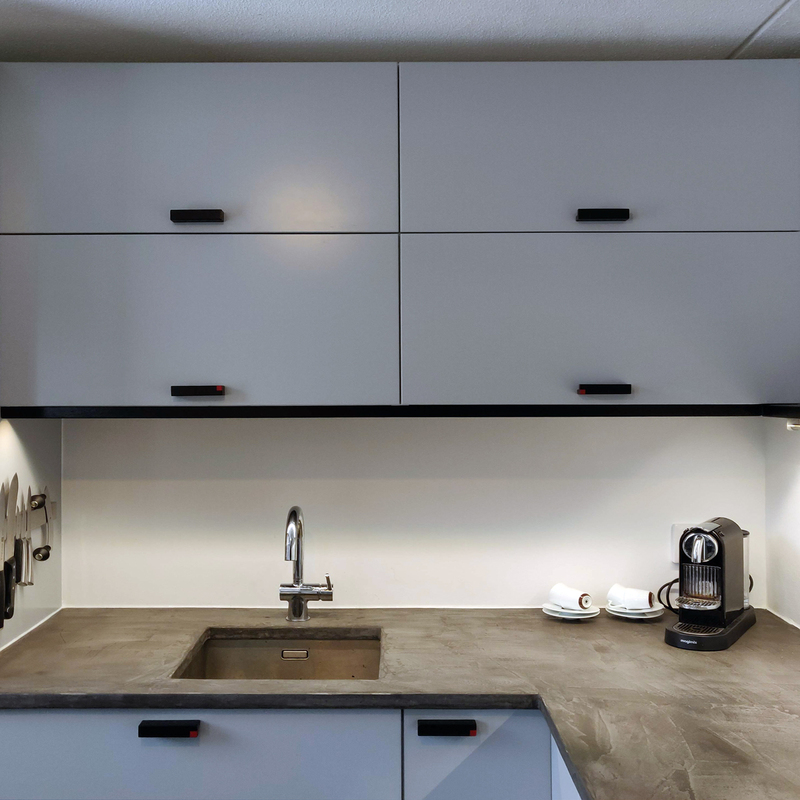 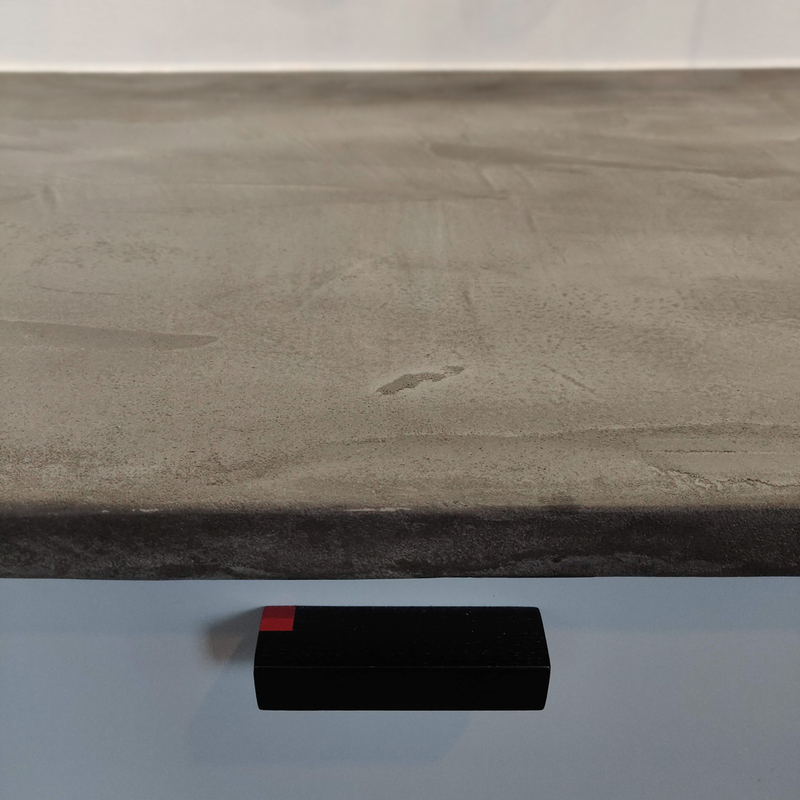 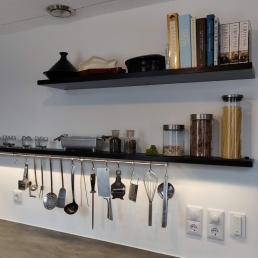 The kitchen had a concrete worktop, unique CNC-made handles and integrated led lighting. The design is straightforward and consequent, with a touch of Bauhaus. studioMERZ is a design studio for Interior Architecture based in Rotterdam (NL) and Łódź (PL).